The Post Office is reported to be in talks with major UK networks as it mulls the idea of starting its own mobile virtual network. 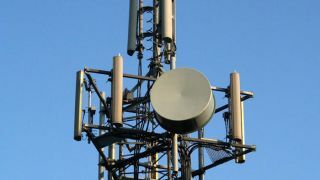 If it goes ahead, we could see the postal service selling SIM cards, data, minutes, texts and possibly even phones, just as other mobile virtual network operators (MVNOs) like Virgin Media does. Virgin uses Everything Everywhere's network infrastructure. An 'industry source' told Mobile Today, "The Post Office has sent out a Request for Information to interested parties to help it decide what form the MVNO should take. "A Request for Proposals will probably be issued later this autumn. The MVNO could be up and running within the year." It's by no means a definite that the Post Office will launch a network, but if it does it won't be alone – the national post offices in Brazil, Portugal, France and Ireland all run MVNOs as well. But those not entirely satisfied with how the Post Office's never-ending queues might prefer it if the Post Office worked on perfecting its raison d'etre before venturing into the big bad world of network operation.